Qantas customers on Wi-Fi enabled domestic flights will be able to watch their favourite shows, avoid missing out on live sport and listen to almost any song they like, with Foxtel, Netflix and Spotify coming on board to provide content in 2017. The faster connection speeds – which enable streaming – are made possible through the nbn Sky Muster™ satellite service and represents a significant upgrade over older satellite technology accessed by most airlines around the world. The service uses idle data capacity, with the signal reaching the aircraft as it flies through the satellite’s 101 spot beams across Australia. 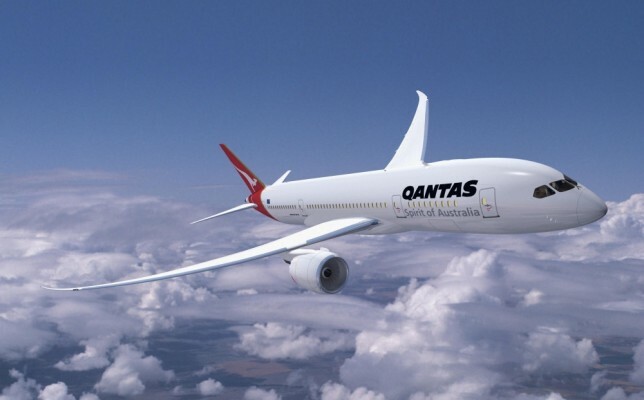 Qantas Group Executive of Brand, Marketing and Corporate Affairs, Olivia Wirth, said that fast, free internet will open up a huge range of options for customers inflight. “We know that email, online shopping and general web browsing will be popular uses when we switch on Wi-Fi, but what a lot of people relish about flying is being able to catch up on their favourite TV shows or watch movies they didn’t get to see at the cinema,” said Mrs Wirth. “Foxtel and Netflix both have huge catalogues that are expanding all the time, so there will be no shortage of entertainment on board. “The usage data from the collection of albums we already have on our aircraft shows that music is a great way for passengers to relax as they watch the world fly by. Spotify will open this up so you can listen to virtually any song you like,” she added. Foxtel will offer three days free access to its Foxtel app every time a customer flies, allowing customers to stream live sports, news and TV shows as well as its full range of on-demand content. No sign-up to a subscription is required. Netflix will offer new customers access to the entire Netflix service as part of a 30-day free trial. Existing Netflix members only need to log in to continue watching at no extra charge. Spotify will offer a 30 day free trial of its Premium music service, which has no ads, shuffle play and unlimited skips. Customers will log on to the Qantas inflight Wi-Fi via their own devices, and will be greeted by a landing page with a range of options (see attached images). As well as links to access Netflix, Spotify and Foxtel, this page will feature real-time flight data; hotel, restaurant and transport options at your destination; the latest weather; and personalised information linked to your itinerary and Frequent Flyer account. Streaming of Sky News Australia will also be available. In November 2016, Qantas installed ViaSat satellite-receiving equipment on its first 737 to be Wi-Fi enabled. Hardware and software testing is underway on this aircraft, ahead of the service being switched on for customers soon. 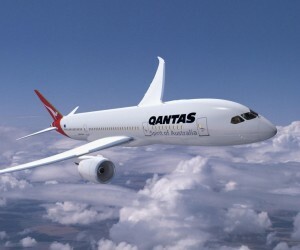 *Qantas is also currently in talks with suppliers to extend Wi-Fi services onto its international and regional (QantasLink) fleets to develop a product that can overcome a number of technical, performance and coverage challenges, including options for Wi-Fi over large stretches over water, which will deliver a quality service that meets the expectations of Qantas’ customers.